Such research and much more is possible with a microscope known as a high-resolution scanning transmission electron microscope. The University of New Mexico was recently awarded funding from the National Science Foundation to purchase a more high-tech version of the microscope that The University currently owns, which will be the first in the state with its particular capabilities. The $1.75 million grant, which began last October, will cover the initial purchase of the instrument, along with the first few years of operation. 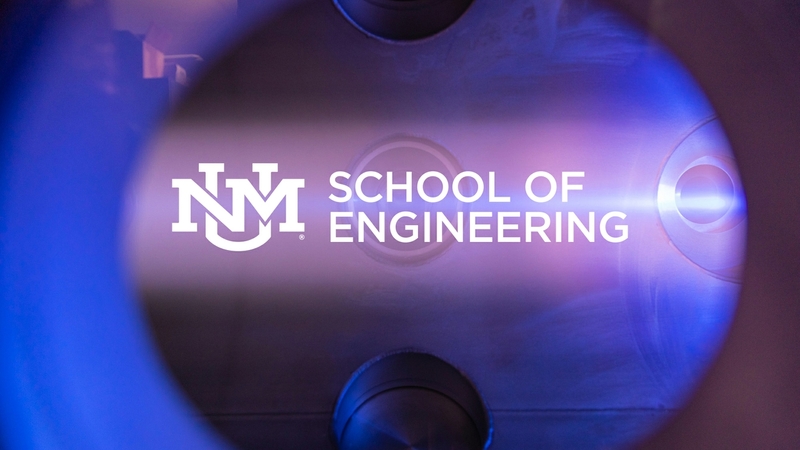 The researchers on the grant are from a variety of disciplines around the School of Engineering and UNM, which was key for obtaining the funding. The UNM Board of Regents recently approved UNM’s cost share for this project — $750,000 — which comes in part from the Office of the Vice President for Research (OVPR), the deans of the College of Arts and Sciences and the School of Engineering, the Department of Earth and Planetary Sciences, and the Center for Microengineered Materials (CMEM) and Center for Biomedical Engineering. (l. to r.): Adrian Brearley, Abhaya Datye, José Cerrato, Plamen Atanassov and Fernando Garzon. The principal investigator is Abhaya Datye, distinguished and regents’ professor of chemical and biological Engineering, and also the chair of the department. Co-principal investigators are Adrian Brearley, distinguished professor of Earth and planetary sciences; José Cerrato, associate professor of in the Department of Civil, Construction and Environmental Engineering; Plamen Atanassov, distinguished professor of chemical and biological engineering; and Fernando Garzon, professor of chemical and biological engineering and director of CMEM. UNM acquired scanning transmission electron microscope capabilities in the mid-1980s, said Datye, and that equipment has been upgraded through the years. 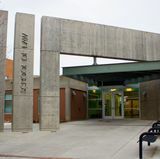 The current instrument at UNM is nearly 20 years old and is now inadequate to perform the type of research that is being conducted by many researchers here. This new technology — the aberration-corrected scanning transmission electron microscope — has capabilities far beyond what is currently offered on campus, or anywhere in the state. These capabilities will enable new areas of research, which are just not currently possible at UNM. Brearley said that a key feature of the proposed scanning transmission electron microscope is its flexibility for studying a wide range of different kinds of materials. These include the ability to study delicate biological structures without damaging tissues, as well as novel materials, such as graphene. The updated machine is also faster and more efficient than what is currently offered at UNM. 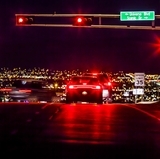 The Center for Integrated Technologies at Sandia National Laboratories has an aberration-corrected microscope, but Datye said UNM’s will be different since it will be equipped with probe correctors rather than image correctors. Beyond that, the nearest such scanning transmission electron microscopes are located hundreds of miles away at universities in Colorado, Arizona and Texas. 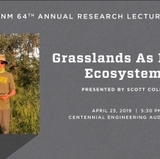 About 16 researchers have already expressed interest in using the instrument from a variety of departments around UNM in three different schools: the School of Engineering, the College of Arts and Sciences, and the UNM Health Sciences Center. In addition, several local companies are interested in using it. The grant, along with the UNM cost share, will cover the purchase of the advanced microscope, but a device this specialized requires a lot of maintenance and special care. Datye said maintenance on such an instrument can run over $100,000 a year, so additional funding will need to be sought in the future to maintain it, in addition to user fees generated. The grant also specifies that the new microscope will be used as a teaching tool to encourage K-12 students to pursue STEM (science, technology, engineering and math), especially those in underrepresented groups.